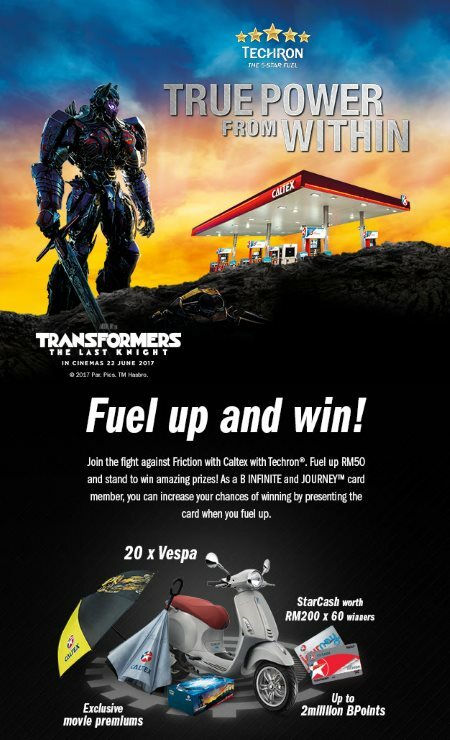 Fuel up a minimum of RM50 at Caltex. Fill in the form at www.caltexpower.com.my and attach the picture of your receipt. Visit Caltex 'TRUE POWER FROM WITHIN' contest page for more details.